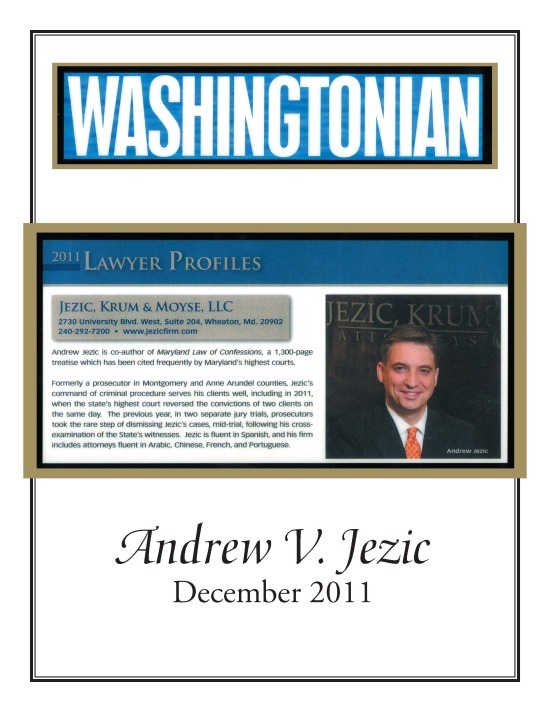 Law Offices of Jezic & Moyse, LLC. 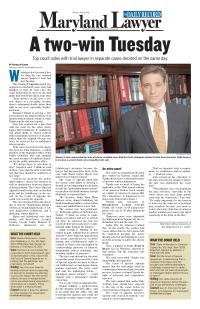 Selected as one of area’s top criminal lawyers in SUPERLAWYERS & the WASHINGTONIAN! 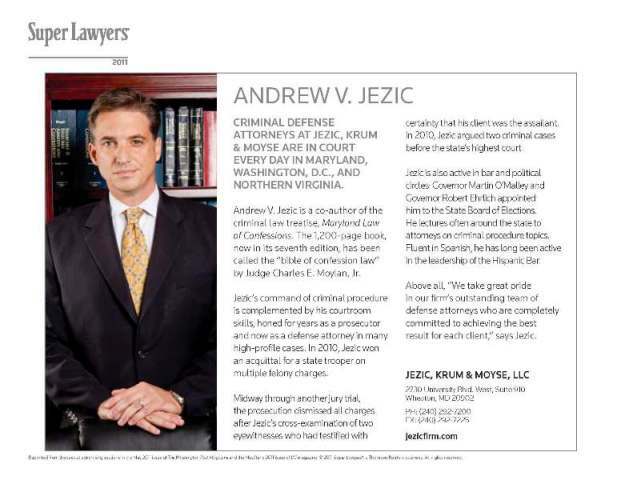 “The leading academic authority on confession law in Maryland is Jezic, Molony, Nolan and Woodward, Maryland Law of Confessions”. March 25, 2013, from In re: Darryl P., page 32, written by the Honorable Charles E. Moylan, Jr., judge on the Court of Special Appeals of Maryland, and author of several leading criminal law books in Maryland. 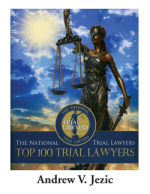 Discusses custody, waiver, invocation, re-interrogation, and surreptitious questioning. Outlines underutilized rules pertaining to the Sixth Amendment. Reviews the right to silence not directly related to interrogations. Discusses ethical considerations for prosecutors. Contains practice tips and checklists.